Endless Mountain Solutions specializes in business class websites but that does not mean we overlook those who would benefit from a personal website. We can create simple and great looking sites for anyone who wants to expand their online presence. There are several advantages to having a personal site versus just a social network presence. A personal website is a great way of sharing your life through secure photo albums so that only the people you know can see your photos. A personal blog is also an excellent way of letting friends and family keep up with your daily life. Have projects you loved working on, maybe an online version of your resume showcasing your work, there is no limit to what you can use a personal website for. Endless Mountain Solutions will create a site that is 100% you and make your online life as fun as your offline one! Don't worry though, we never make you choose between them. On our platform you can have whatever combination of website types you want. So go ahead and have an eCommerce website with a blog website, all on the same url and all branded to flow together. Want a forum? We can throw that on also. We are here to discuss the best combination for you and your business when you are ready. The internet is Main St. in every town and city at once. Get your business a storefront with an eCommerce website. At Endless Mountain Solutions, we have the technologies and features to make your transition to a virtual marketplace a breeze. Using the latest in technology, our web platform allows you to integrate your core business site right with the products you are selling. Now you can blog about your great product line and sell it, all on the same screen. Pushing your clients off to a separate eCommerce site is a great way to lose them in the transition. You also risk taking a big hit on your search engine ranking as you have spread all your valuable content out over two domains; let us show you how to keep all your content under one. A blog website is focused on sharing content that potential visitors will want to read. Sounds pretty simple right? But before any visitors can read your content, they need to engage your site. Ease of navigation and appearance play a major role in whether the user will stay on your blog page or simply navigate elsewhere to find the information they were looking for. Endless Mountain Solutions will build you a great looking and easy to use blog site. We select and customize imagery to further convey your message, captivating your client from first glance. We also work with you to best convey your message with concise paragraphs and a clear writing agenda. Have products to sell? Take them online. Even if you are not in the market for an eCommerce website, having your product online adds additional exposure for your business. Potential customers can browse your merchandise, become acquainted with your products, and realize all of the valuable products your business has to offer. By increasing exposure for your products, you are making it easier for the customer to educate themselves in the comfort of their home. Then, when they come to the store, they are ready to purchase. Let Endless Mountain Solutions analyze your product offerings and come up with the best way to present them. Forums do not exactly have a reputation of being user-friendly or intuitive. With Endless Mountain Solutions, that will not be the case. We create great looking, easy to use forum websites. When we design a forum website, our goal is to create an easy to navigate interface without interfering with the flow of conversation. There is literally no limit to the uses that a forum website can provide. When you want a simple, interactive, online conversation environment - a forum will meet your needs. Almost any business can benefit from implementing a forum of some degree on their site. 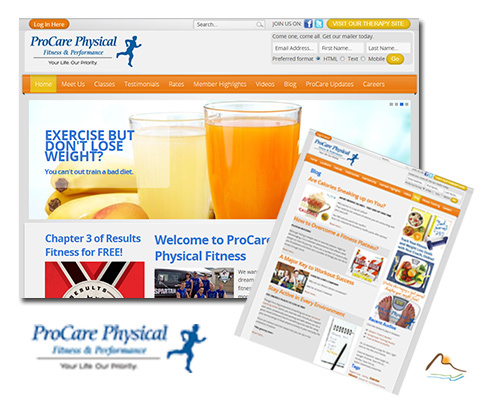 With multiple locations, ProCare Physical Fitness wanted to present a unified brand across all the areas they service. They also wanted to have their online presence become the industry standard, providing their clients with easy access to quality content. Endless Mountain Solutions was able to accomplish this goal with the implementation of their new fitness website. Clients are now easily able to find the location they are looking for while also seeing all of the benefits and services that make ProCare Physical Fitness a such great fitness center. The ProCare coaches also now have a platform where they can interact with clients and share their expertise, advice, and tips with the entire fitness industry. 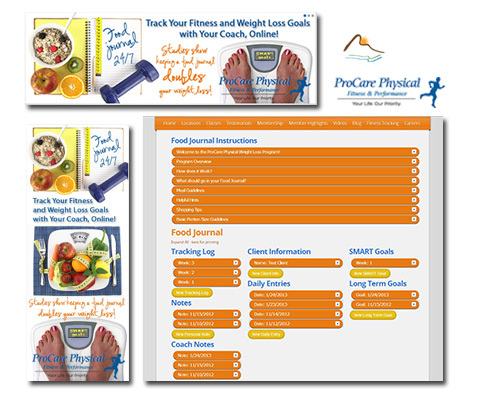 ProCare Physical Fitness was faced with a tough challenge: How to make food intake journals both simple and accessible yet still detailed and comprehensive. This challenge was posed to Endless Mountain Solutions and we were able to deliver an integrated solution for them, right within their existing website. The Food Journal is a single page, web-based journal that allows Fitness clients to enter their food intake. It breaks entries out into separate categories or time periods throughout the day so it's easy to track what the client consumed for each meal. 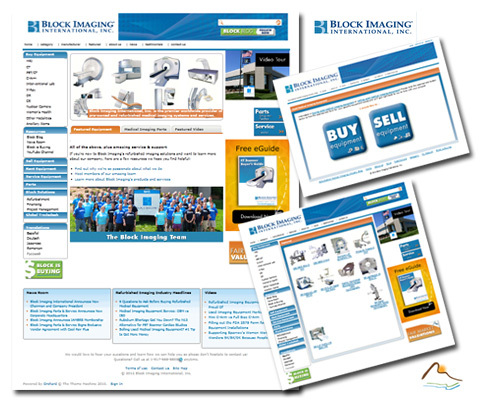 Block Imaging International is a world leader in the sale of refurbished medical equipment so their website needed to highlight the numerous services they bring to the table. Endless Mountain Solutions was proud to work with Electric Software in bringing this project to life with our focus being integration with the back end SAP business software. It was critical that the website utilize a content management system so it could be continually updated with new information by anyone on the team. In addition, the website catalog needed to remain synchronized with the SAP inventory system without the need to manually push content. 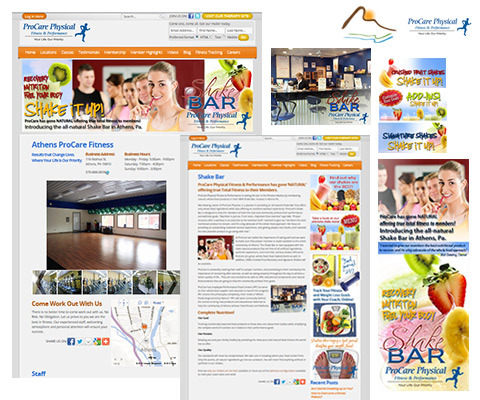 ProCare Physical Fitness was adding a Shake Bar to one of their facilities and wanted to publicize it with their clients and ensure everyone knew about it. After learning of their goals, Endless Mountain Solutions set about collecting the information needed to pull the feature together. We had our design department pull together fantastic graphics and create custom designs to use on the home page feature and numerous side bar positions throughout the website. We also set our web implementation team off to prepare a set of landing pages for their new product line. When a client is looking for a product you sell, excessive time can't be wasted searching for it. This is the problem Block Imaging Parts & Service faced daily. Having multiple inventory sources to draw from required too much time to search efficiently. In addition, there was not a good mechanism to pass off requests to other team members for checking inventory quantities and customer follow up. 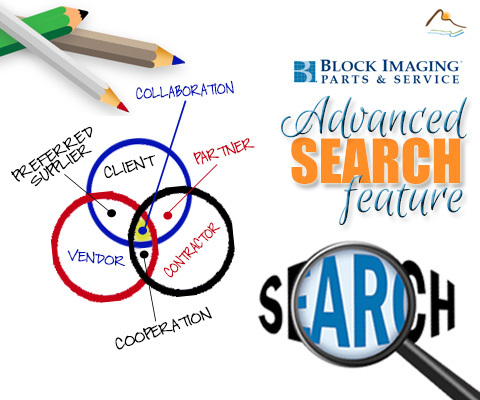 Endless Mountain Solutions was able to work with Block Imaging Parts & Service to determine the best platform for building this tool. Numerous options were looked at, including SAP addon's and desktop applications. However, the desire to be able to take these search capabilities anywhere immediately led to the selection of a private website as the best solution. Endless Mountain Solutions has always enjoyed working with other developers. So when the opportunity came up to work with Electric Software on the Michigan Corn website project, we were thrilled. 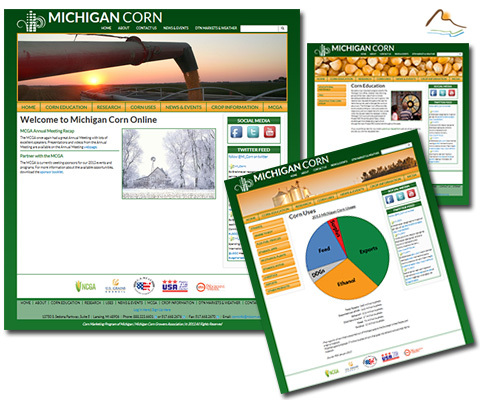 Michigan Corn realized the value of a content management system for their website and was prepared to enter and maintain the content themselves. Electric Software and Endless Mountain Solutions partnered to set up the "behind the scenes" framework which empowers Michigan Corn to implement and manage their site content going forward. ProCare Physical Therapy provides quality care to their patients and desired the website to reflect their values. 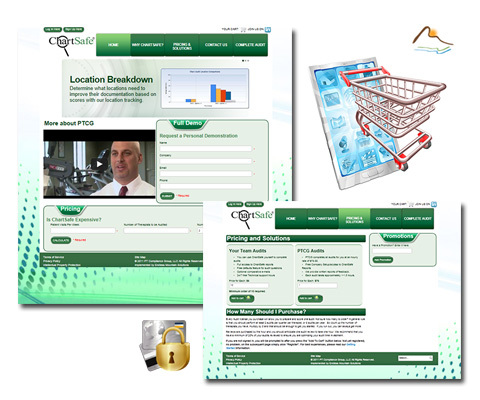 The website needed to be easy to navigate so potential clients could easily find the services they were looking for. 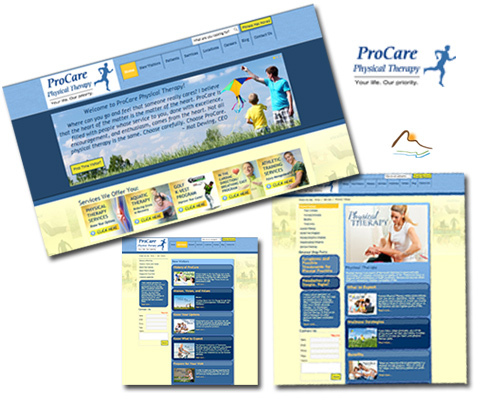 In addition, the website needed to make it easy for clients to contact ProCare with any requests they had. To meet ProCare Physical Therapy's needs, it was decided that the home page clearly lay out the range of services offered. Our graphic department prepared imagery allowing the client to immediately see and choose the type of service they were interested in. When your goal is reaching clients throughout the United States, you want to ensure your website presentation is clean and easy to navigate. Endless Mountain Solutions worked with PT Compliance Group to identify all of the service offerings they provided their clients and packaged this in an easy to navigate website. Realizing PT Compliance Group puts a lot of effort into their seminars and webinars, we set up the website so visitors can easily find these upcoming events. Due to the constant addition of new information, Endless Mountain Solutions utilized the Orchard CMS platform to provide ease of content entry and also the ability to adapt with changes as the client grows. Often the most valuable asset you have is your knowledge. If you can utilize this knowledge with others, you have a product. PT Compliance Group, an expert in physical therapy compliance, realized just this when they brought their internal knowledge to Endless Mountain Solutions and asked us to turn it into an online product. 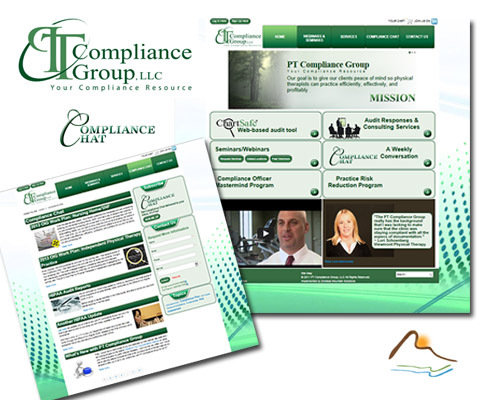 This online tool, ChartSafe, needed to provide Chart Auditing capabilities to the clients of PT Compliance Group. Based on a proprietary interviewing process and scoring system, ChartSafe is able to provide clients with real time feedback on how well they are documenting their Physical Therapy patient visits. When our website needed an upgrade, Endless Mountain Solutions was there to see us through the daunting process of reworking it from the ground up. Not only was the process painless, but the results were fantastic! Endless Mountain Solutions provided excellent communication every step of the way, and their responsiveness was extraordinary. I highly recommend Endless Mountain Solutions for their work ethic, performance, and their genuine nature in all interactions. You are certainly going over and beyond the call of your "developing website duties" in helping us with other issues of our business. We can't imagine getting this type of service and individual attention from any other company! © 2013 Endless Mountain Solutions. All Rights Reserved.